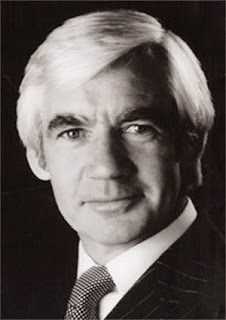 William Wylie MacPherson was born in 1938 in Taransay Street, Govan, Glasgow. His father was a poet and piano player and Wylie learned to play piano as a child. He later attested his song writing skills to his father’s early influence. He went to Govan High and began writing songs as a teenager. Wylie left school at 15 and started as an Apprentice Marine Engineer at The Alexander Shipyard in Govan. His two main interests were song writing and football. At 18 he went to London to try to sell some of his songs but returned without success. On his return he was delighted to sign for Partick Thistle and later joined Johannesburg Rangers in South Africa and the for next three years Wylie found himself exiled but kept writing and in 1960, London Music Publisher accepted one of his compositions called “That’s the only way.” The song was never recorded. Undaunted he kept at it and eventually in 1962 he had his first published song, “Kiss me now,” recorded by Tommy Quickly. The song sold moderately in Australia but was a flop in the UK. Quickly was one of Brian Epstein’s GEMS artists and this did raise Wylie’s profile. Still writing as Wylie McPherson he was advised to shorten his name to ten letters and chose Bill Martin. In 1964 he teamed up with Tommy Scott and together they wrote songs for: The Bachelors, Twinkle, Van Morrison, and Serge Gainsbourg. In 1965, Bill met Phil Coulter and formed a publishing company which spurned hits for many British artists. The impressive list includes: The Troggs and Geno Washington (Hi Hi Hazel 1965); Cliff Richard (Congratulations 1968), and Cilla Black (Surround yourself with sorrow 1969), The Dubliners (Scorn not his simplicity 1970) and many, many more. However, it was a composition for the 1967 Eurovision Song Contest which catapulted them into the superstar category it was Puppet on a string recorded by Sandie Shaw. Success continued into the 70s staring with the number one hit by The English World Cup Squad (Back Home 1970). Martin and Coulter were quick to spot the rising popularity of Scotland’s Bay City Rollers and penned a few of their hits including: Remember (Sha La La La) (1974), Shang a lang (1974), Summerlove Sensation (1974), All Of Me Loves All Of You (1974), and the band’s #1 US hit Saturday Night (1976). Bill and Phil later formed the Martin-Coulter Music Group to discover new talent including Billy Connolly and Midge Ure. Martin-Coulter Music, also signed other songwriters including Van Morrison, Christy Moore, Donal Lunny, Eric Bogle, They continued the hit factory with Kenny “The Bump" and 'Fancy Pant's; Slik with ‘Forever And Ever’. (1976). Aside from pop music Bill also wrote for films and TV including “The Water Babies”, some “Carry on" films and a number of television theme songs including "Spiderman ". The partnership with Coulter ended in 1983 when Martin bought out Coulter's share of the business then sold it to EMI Music. In the same year he produced the stage musical Musical Jukebox which ran to critical acclaim in the West End for six months. Bill has continued to write songs and collaborated with many other composers. As a songwriter, record producer and music publisher the boy from Govan has had No1s in every country of the world and some estimated worldwide sales of over 35 million. Bill Martin continues with other business interests but was recently inducted into his old school Govan High's Inaugural Hall of Fame in 2011 and joins fellow luminary, Sir Alex Ferguson.